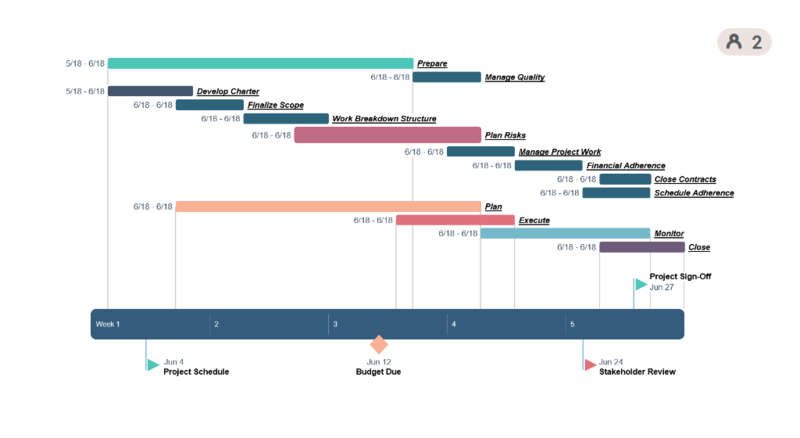 #1 Free Online Timeline Maker Anyone Can Use. 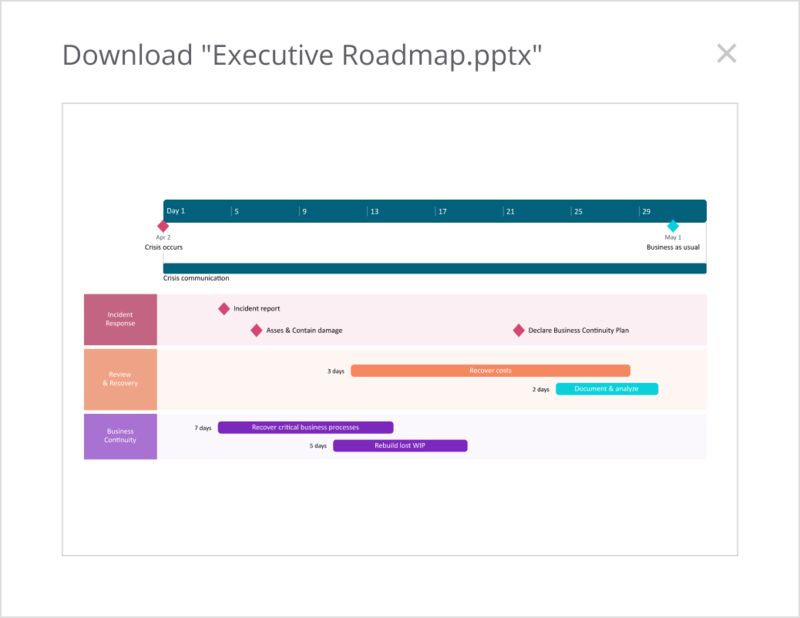 Make professional PowerPoint timelines in minutes. Build and update your slides online with the web’s simplest timeline app or manage them in PowerPoint with our free add-in. 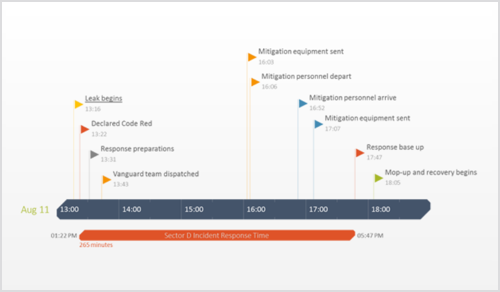 Prefer to make timelines inside PowerPoint? See our free PowerPoint add-in. Designed for Windows, it seamlessly integrates into PowerPoint and lets you make stunning presentations fast. Easily make professional timelines online. Build and manage beautiful project slides in minutes. Simple, accessible online timeline generator. Build stunning online timelines that people actually understand. 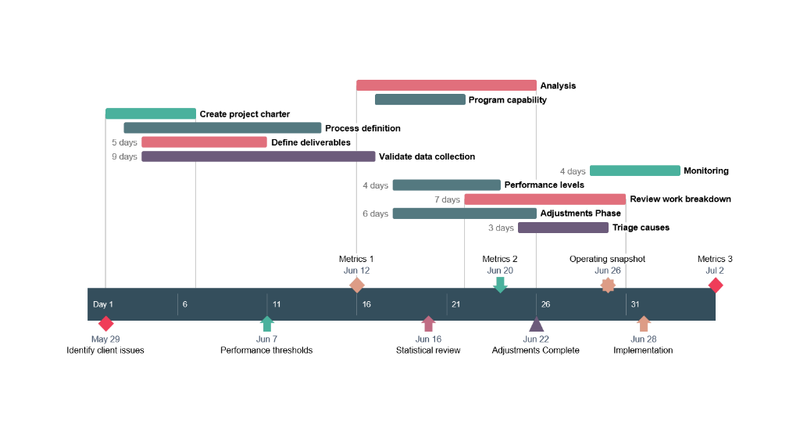 Office Timeline Online is a free, easy-to-use web-based tool that creates unforgettable PowerPoint slides. 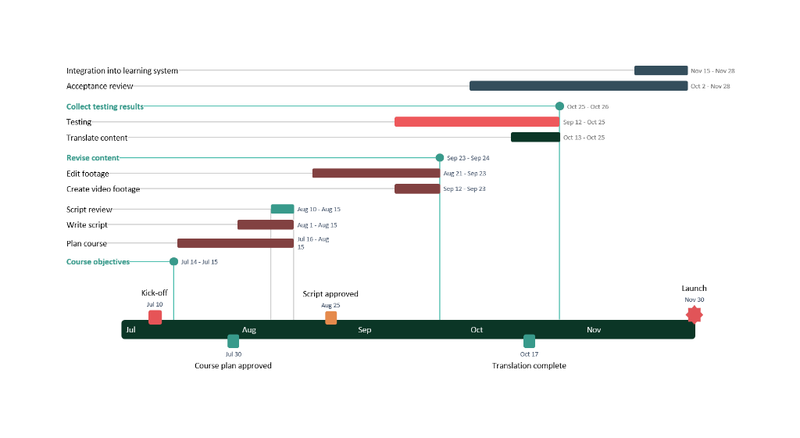 Use the web app to create Gantt charts online that can be easily shared or downloaded. Web flexibility with PowerPoint familiarity. 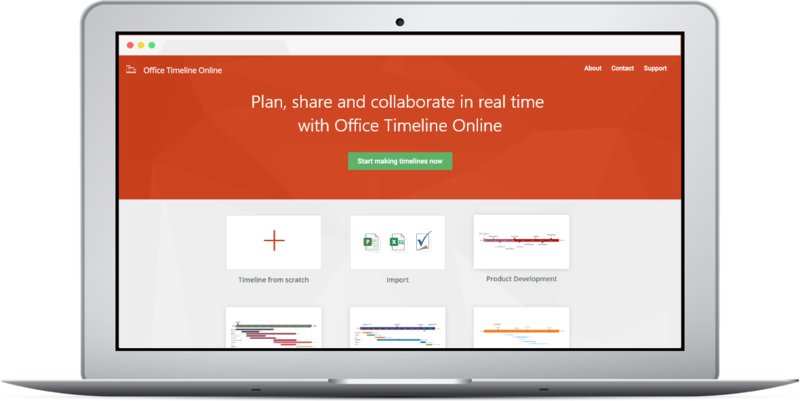 Office Timeline Online is the only cloud-based timeline maker that creates real PowerPoint slides. 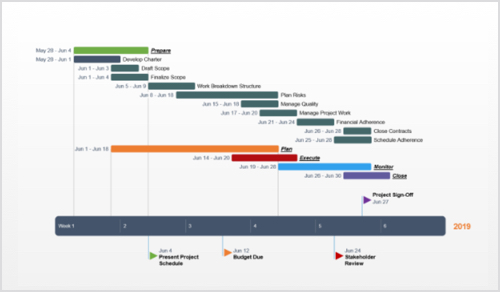 Get the best of both worlds with our online timeline and Gantt chart maker. Now you can have the ease of the web when building timelines and Gantt charts for the world’s most popular presentation software. 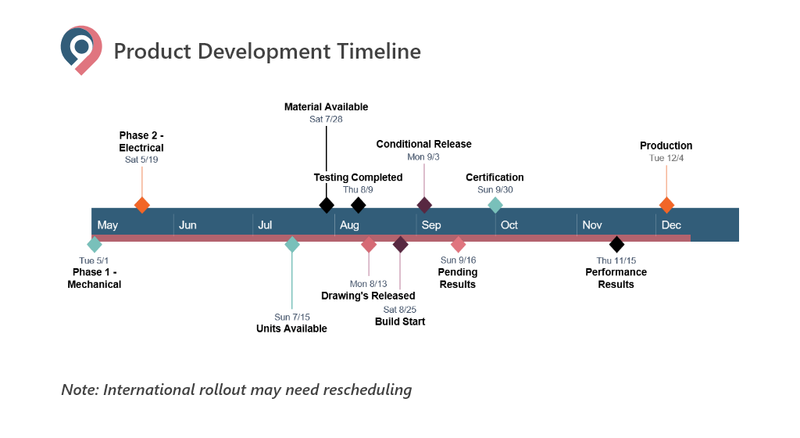 Build timelines faster. Connect to your Excel files to generate beautiful timelines instantly. 1. 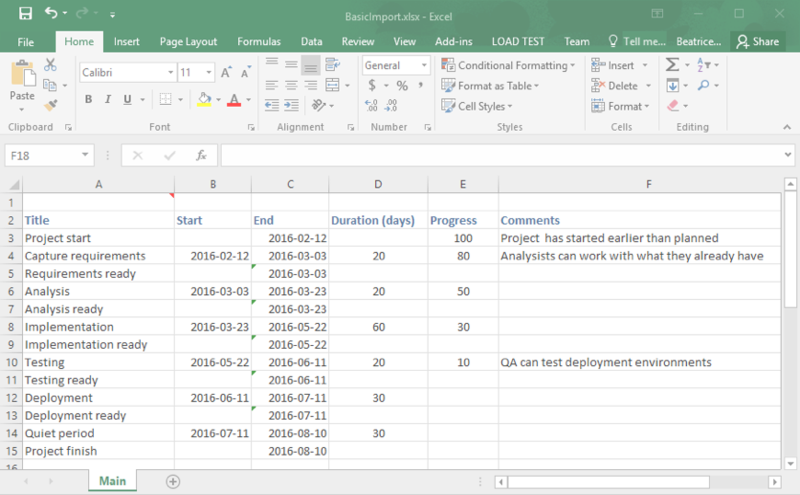 Manage your data in Excel as you usually do. 2. Drag & drop your file to load it into the timeline maker. 3. Instantly generate your timeline and style it to perfection. Produces native PowerPoint slides that can be shared and edited by others. 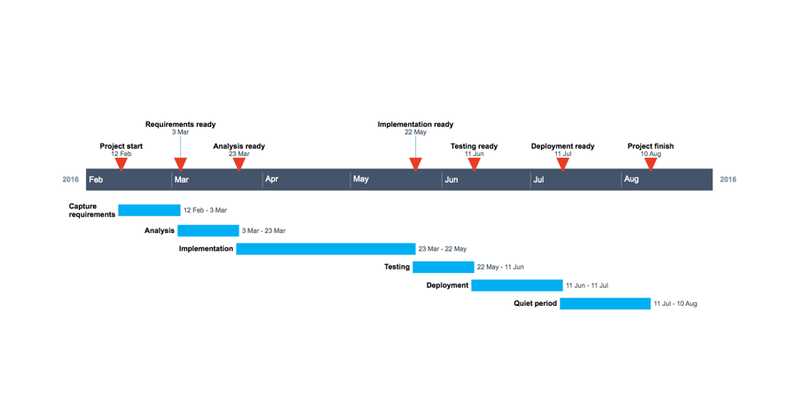 Office Timeline Online visuals can be downloaded as native PowerPoint slides, which means you can edit them just as you would any other slide. Use all the PowerPoint controls you are already familiar with and share or present your timeline as usual. The most convenient free online timeline builder. 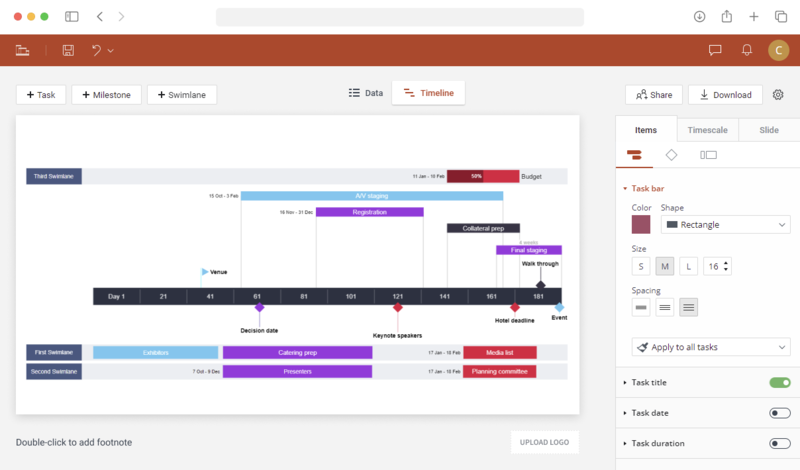 Instantly make simple, elegant online timelines. 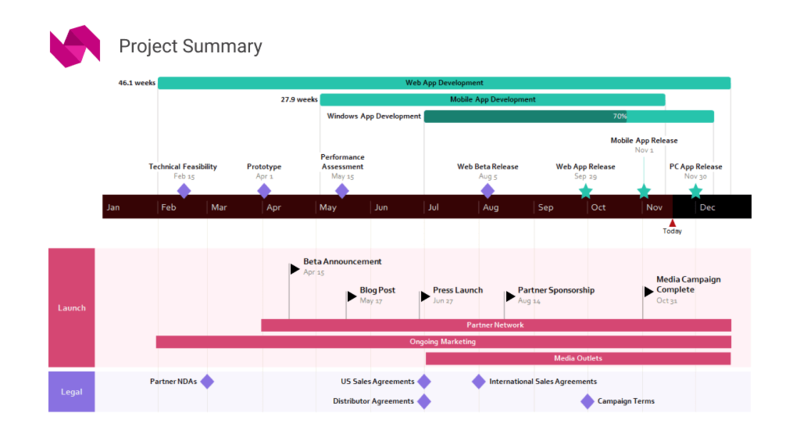 The free online timeline creator will build a high-level view of your project right away. 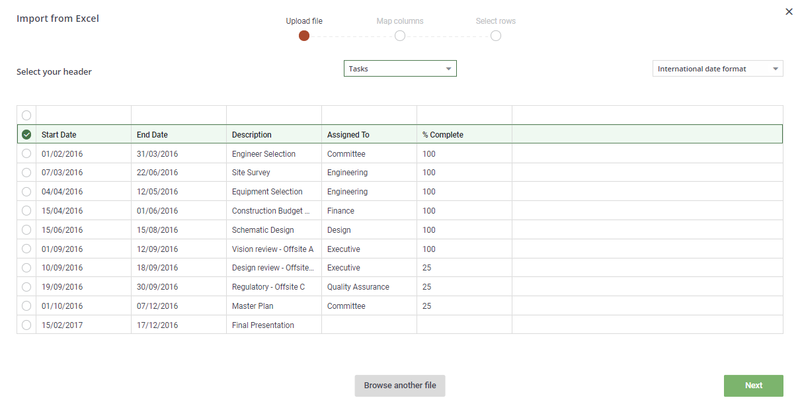 With Free Edition, you don’t need to install complex software or even create an account to start building timelines. 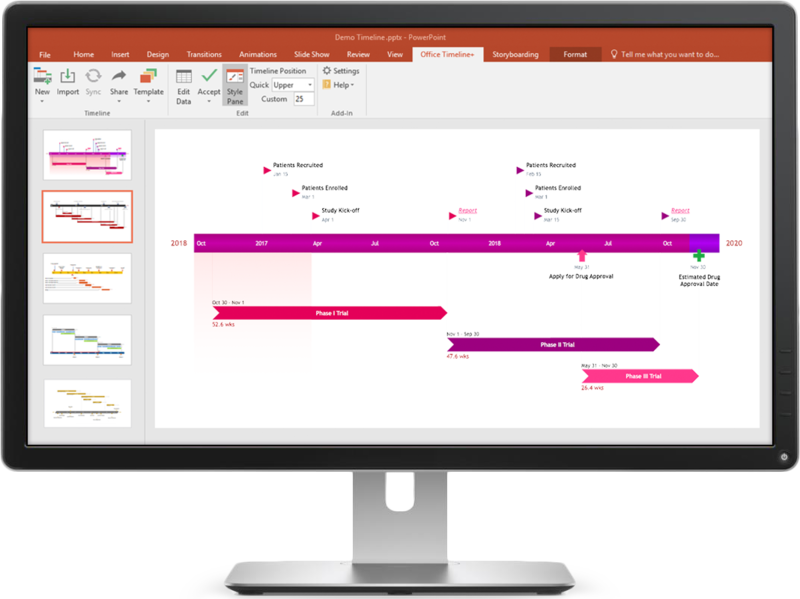 While Office Timeline Free comes with powerful features, the Plus Edition offers you so much more! Communicate more data, save more timelines, download more slides.